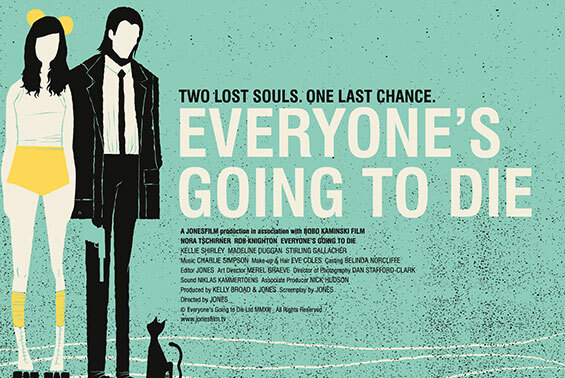 We worked with ‘Everyone’s Going to Distribute’ to manage the UK theatrical and digital PR release campaign for the self-distributed indie gem Everyone’s Going to Die. A man in his 50s (Ray) returns to his seaside hometown for the first time in years, with a dodgy job to do, a dead brother to visit and old ghosts to confront. There he meets a young, foreign girl (Melanie) having her own crisis. They connect, and despite his murky past and her complicated present, help each other find a way forward. We managed press screenings, reviews, talent interviews, listings, digital assets and creative strategy, securing quality press coverage with media outlets including a cover feature in The Times supplement Times 2, a two page feature in London Evening Standard, exclusive content placements with The Guardian Online and Empire Online, interviews and features with The Times Online, Heat Magazine, Cine Europa, The Huffington Post, Film 360 Magazine, Close Up Film, Flush the Fashion, Radio Times, The Fan Carpet, Female First, Flavour Mag, After Nyne, Candid Magazine, Cent Magazine, Aestheitca Online, The Hunger, Hunger TV, Hackney Gazette, Kent Online, and Folkestone Herald, and reviews everywhere from Sight & Sound and BBC Front Row to Daily Star and Daily Mail Event Magazine. We partnered with Jameson Irish Whiskey to host the premiere at Proud Gallery in Camden Town, London, and invited London Live to cover the event with a live stream and video highlights feature.